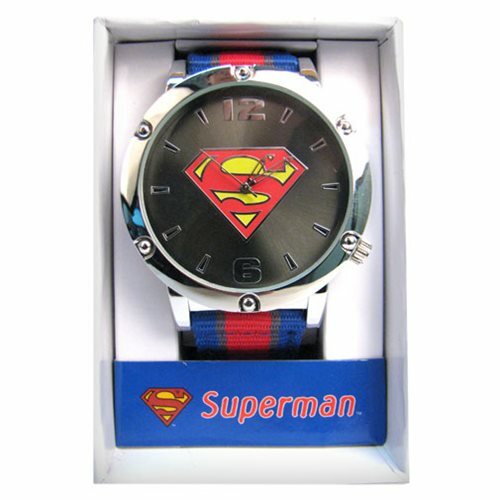 Have the Man of Steel at your side with this Superman Symbol Dial Grosgrain Striped Strap Watch. Strap measures approximately 8 1/2-inches long and the face is about 1 3/4-inches in diameter. Watch comes packaged in a displayable box. Ages 14 and up.